Do you need to have work done on your sewer but you dread the mess that it can cause and the hassle of replacing parts of your yard afterward? At Rosenthal, we can utilize trenchless sewer repair in Los Gatos to help you get your sewer fixed without having to dig up your yard. While this method doesn’t work for all repairs, it often allows us to repair your sewer faster and with less stress for you. Your expert plumber in Los Gatos CA will start with a sewer inspection via camera. They’ll put a camera on a cable down through your pipes via your sewer access point inside your home and see what needs to be done. The camera has a sensor that we can use to locate your pipes outside and determine exactly where the repair needs to be made. After that, we will talk to you about your options for trenchless sewer repair in Los Gatos, CA. If we can perform the entire repair trenchlessly, we will let you know that. If we need to dig a small hole or go in at one place for part of the repair, we’ll let you know and show you exactly where. If you have options for trenchless or non-trenchless repairs, we’ll give you all of that information, too. 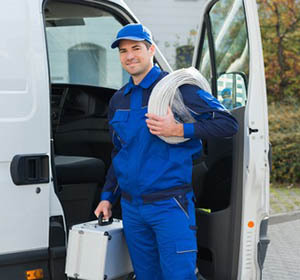 If trenchless sewer repair is right for you, we’ll tell you and get to work as soon as possible. We will work hard to get the job done fast and done right, so you don’t have to worry about your sewer anymore. If we have to dig, we will make our holes as small and out of the way as possible. When you need sewer repair, don’t despair. Call us at Rosenthal and we will get started on your trenchless sewer repair in Los Gatos, CA. Save your yard and save yourself the hassle when you choose trenchless sewer repair.